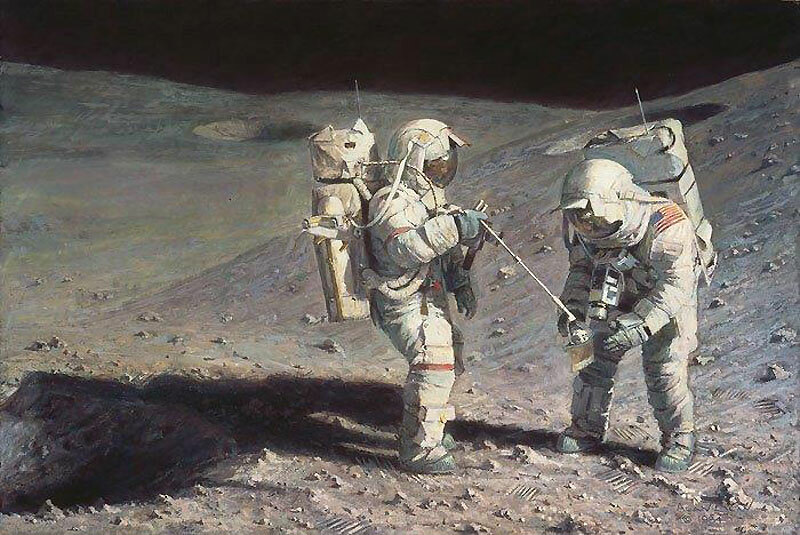 Al Bean, the focus of the above episode of From the Earth to the Moon (my favourite along with episode 5, Spider), has been painting ever since. Mission Commander Pete Conrad flew a precision approach to their landing site, something absolutely required in the trickier later missions that landed near or in mountains, rilles, and valleys. 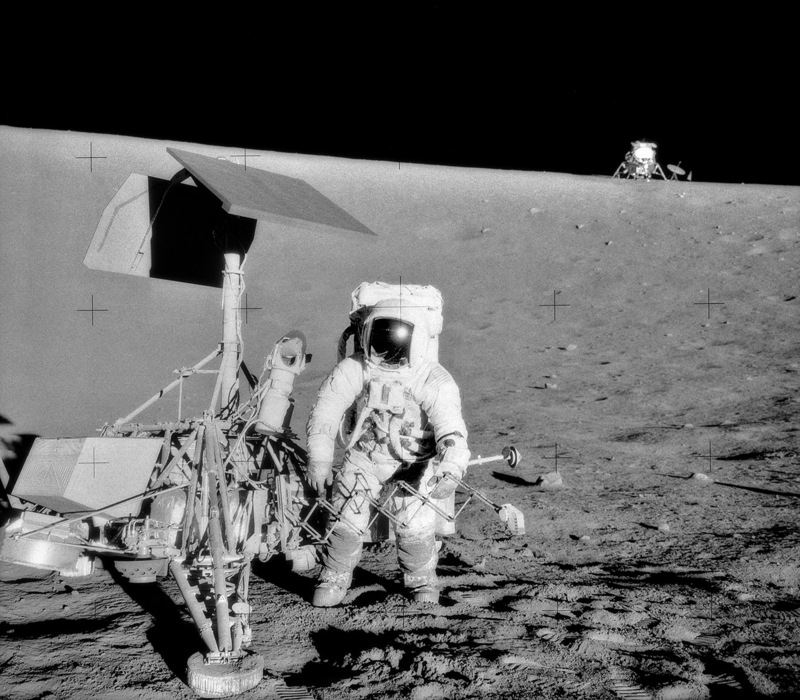 His target was the Surveyor 3 lander, which had arrived in the Ocean of Storms two-and-a-half years earlier as part of NASA’s programme to reconnoiter Apollo landing sites. He touched down within 300 metres of the spacecraft, proving it could be done and paving the way for the next eight moonwalkers. 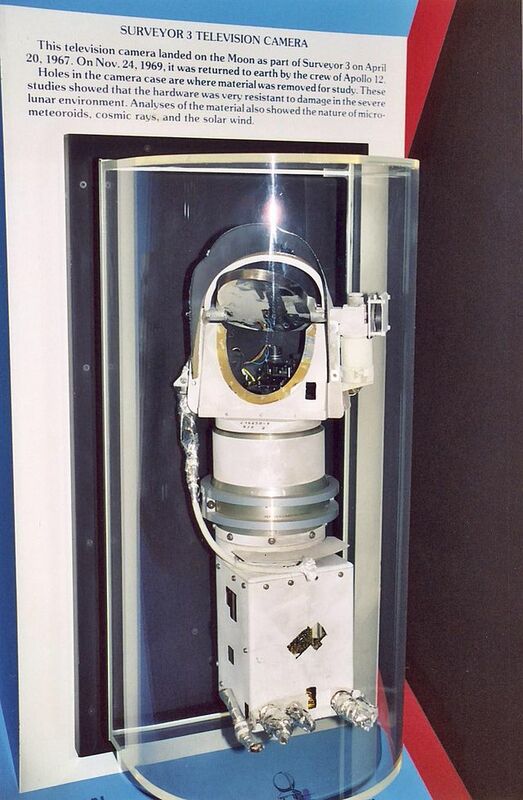 The Surveyor 3 TV camera Bean and Conrad retrieved with the aid of a bolt cutter now resides in the National Air & Space Museum’s Exploring the Planets gallery. You can see interviews with the three crew members in this documentary. 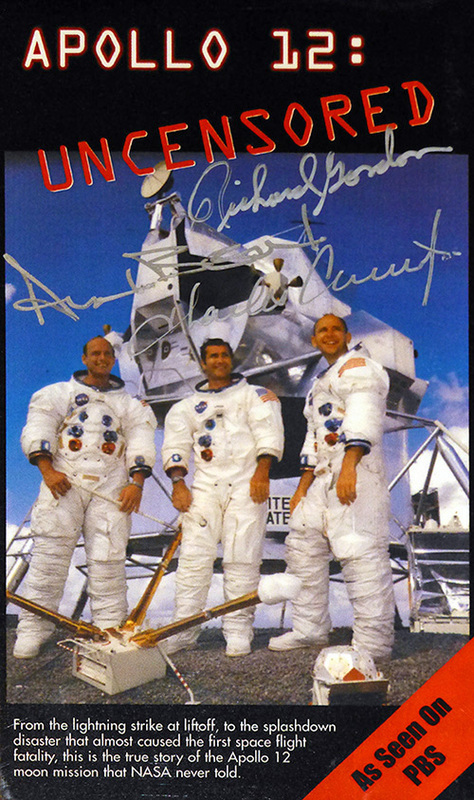 However, be aware that the video footage it shows of astronauts on the moon is from later missions. 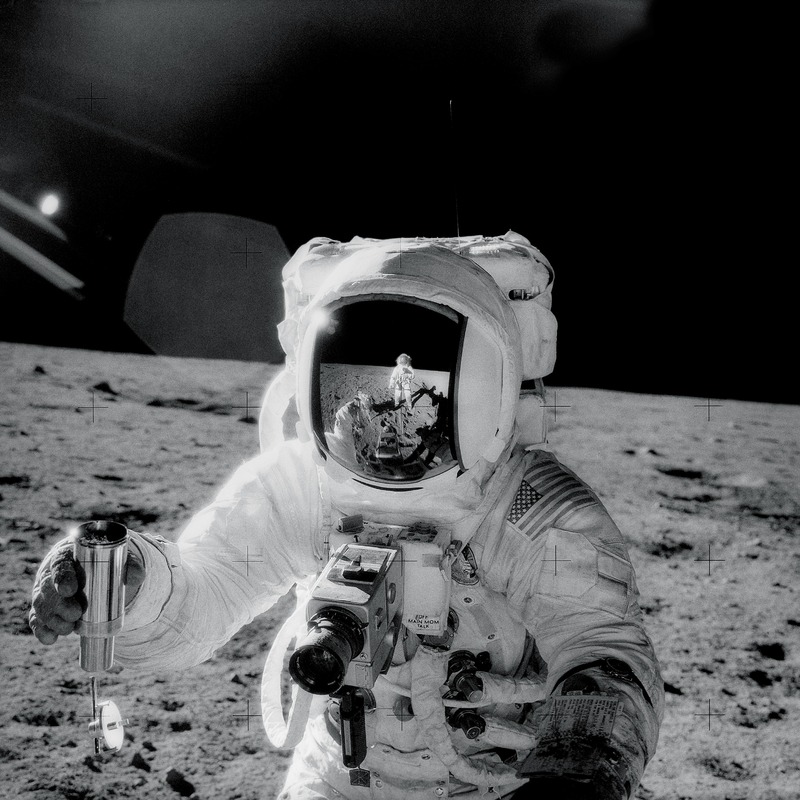 While setting up the color TV camera early in their first EVA, Al Bean inadvertently pointed the camera lens at the sun, killing its vidicon tube, so there’s no such footage from Apollo 12. 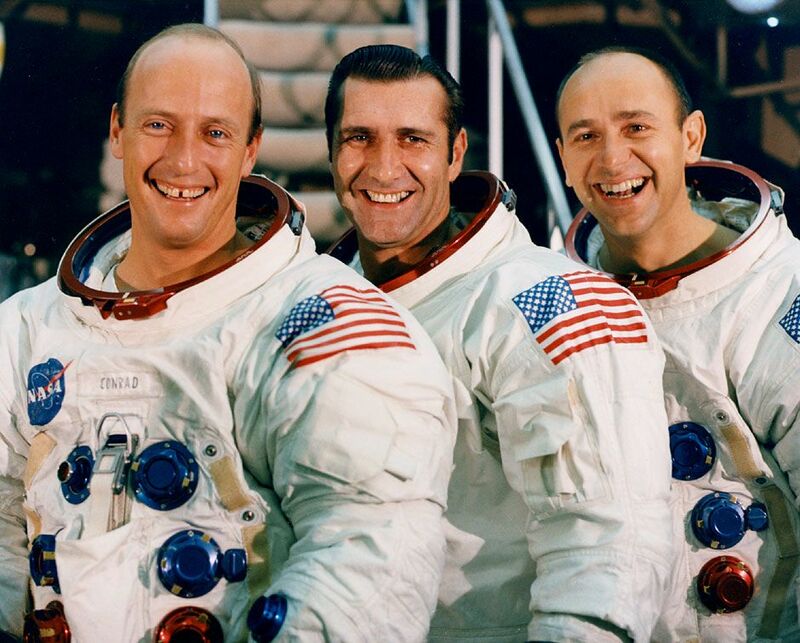 Mission Commander Pete Conrad, pictured below in one of his finest moments, sadly died in a motorcycle accident in 1999.